meet jackie. she is absolutely fabulous and has a blog called the platform princess. i am a little addicted to it because she updates it with photos of herself looking utterly gorgeous in the sweetest little outfits. it makes for great inspiration... and often leaves me wanting to go out and buy identical goodies so i can look like her! 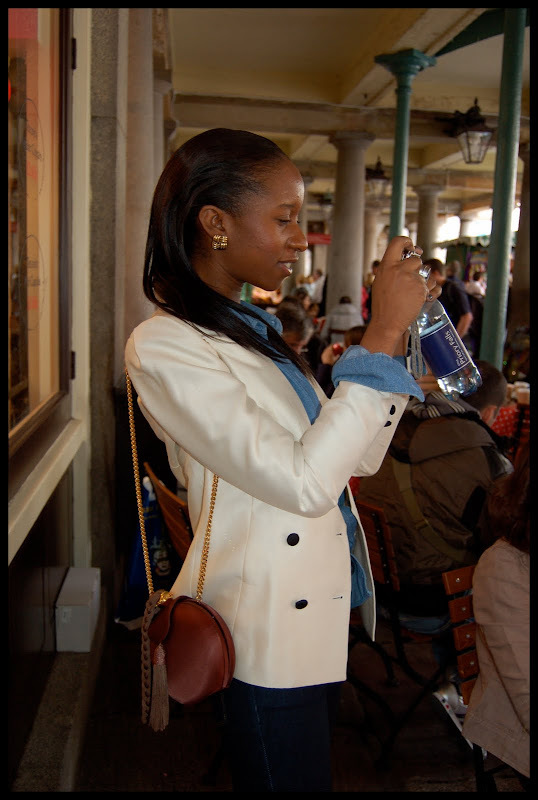 we first met when i snapped her photo at London Fashion Week back in February - i didn't take her name but someone left a comment pointing out who she was and where i could find her blog. so after a couple months of twitter stalking we finally met up again for cupcakes in covent garden and i was so happy to discover that she is just as lovely in person as she is on her blog. plus, she has such a great sense of style - managing to look utterly chic and put together by mixing high street, designer, and vintage pieces together. also, she always manages to look bang on trend without it being too try hard. notice her nonchalant take on the double-denim trend? totally not in your face and for that reason it works so well. I'm seeing Jackie again on Friday and I can't wait to see what she'll be wearing (no pressure). mulberry patent shoes and bright pink nails. snacking on pink cupcakes at Ella's Bakehouse - seriously divine. taking photos of all the girls for a post she did on our cupcake meet up. 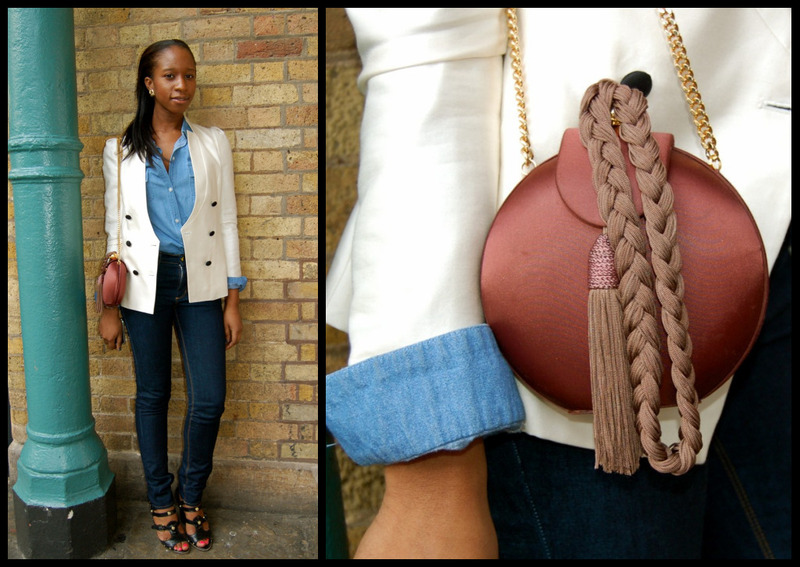 Jackie wears: Reiss blazer, vintage bag, Mulberry shoes. am i the only person that thinks this was a bad idea?